WILLEMSTAD - For the second time, the Central Bureau of Statistics (CBS) held a Labor Force Survey (LFS) in March to April. Since 2016, CBS has begun conducting a Labor Force Survey twice a year. Normally this research was only conducted in September / October of the year. These include developments in the unemployment rate, the degree of participation, the size of the working population and the size of the job seekers. Compared to September 2016 (13.3%), the unemployment rate remained almost the same in the first half of 2017, ie 13.2% of the active population. Compared with September 2016, youth unemployment (15-24 years) fell in the first half of 2017 from 36.8% to 32.5%. From April 2016 the unemployment rate has risen from 11.3% to 13.2%. As the increase is not high, the CBS should do more research to explain whether it is structural or an increase reflecting the social climate. 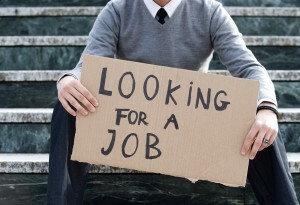 If the unemployment by April 2016 is compared, it has risen from 26.2% to 32.5% in the 15-24-year age range. An increase can also be seen for the men. Unemployment among men has risen from 9.9% to 11.3%. Between September 2016 (14.6%) and April 2017 (14.9%), unemployment among women has hardly changed, but there is an increase in comparison with the figures from the beginning of 2016 (12.6 %).